Responding to Michelle Caswell and Marika Cifor's foundational text From Human Rights to Feminist Ethics: Radical Empathy in Archives, this hybrid lightning talk-facilitated dialogue provides a forum for discussing the ways in which our profession can "center radical empathy and obligations of care." Following brief presentations from speakers, attendees and speakers participate in small-group conversations focused on the application of radical empathy as a theory and practice within their work. Shannon is the Associate Director of Archives and Special Collections and the History Librarian at Barnard College. She holds a BA in Literature from NYU and an MLIS, with a concentration in archives, from UCLA. Molly Brown is in her second year of the MLIS and History MA dual degree program at Simmons College and the archivist for Old South Church in Boston. Her professional focuses are community archives, archival emotions, and storytelling. Dinah Handel is the Mass Digitization Coordinator at the New York Public Library and is a member of the xfr collective. She holds an MLIS from Pratt Institute and a BA in Women's History from Hampshire College. 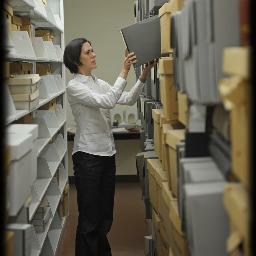 Holly Smith is the College Archivist at Spelman College. She received a B.A. in History and Black Studies from William and Mary, an M.A. in History from Yale University, and an M.S. in Library and Information Science & Archives from Simmons College. Kelly Wooten is a women's history archivist, librarian for sexuality studies, zine evangelist, and Murder, She Wrote enthusiast.